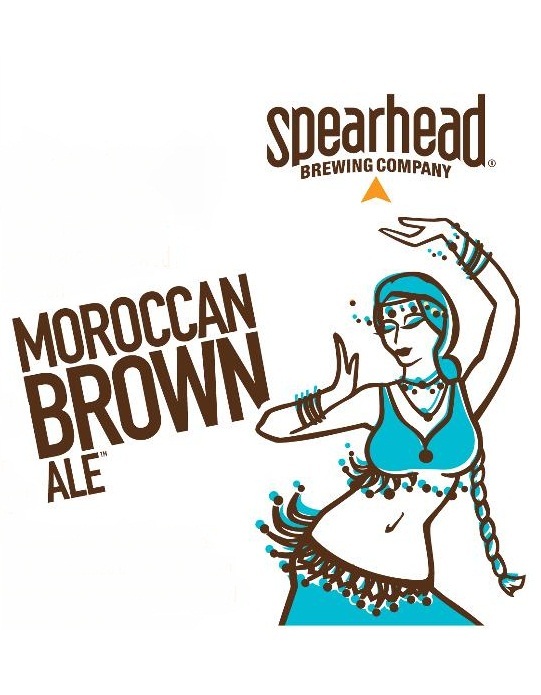 Spearhead to Release Its Second Brew - Moroccan Brown! Just months after a sneak-peek during the company’s 1st Anniversary Party, Spearhead Brewing has announced that its second brew will be their Moroccan Brown Ale. It will be officially launched September 14th, 2012. Described as an “American-style brown ale brewed with dates, raisins, figs and a dash of cinnamon, naturally carbonated, unfiltered and unpasteurized” it will be joining the popular Hawaiian Pale Ale. Look for it on tap at the Spearhead booth at the Premium Beer Experience, the kick-off event for Toronto Beer Week taking place at the Berkeley Church (315 Queen St. E., Toronto) this Thursday September 13th. This will be followed by an official launch party at Bar Hop (391 King St. W., Toronto) on Friday, and appearances at other venues and events during Toronto Beer Week and beyond. More details on distribution and availability will be announced on their website, Facebook and Twitter.